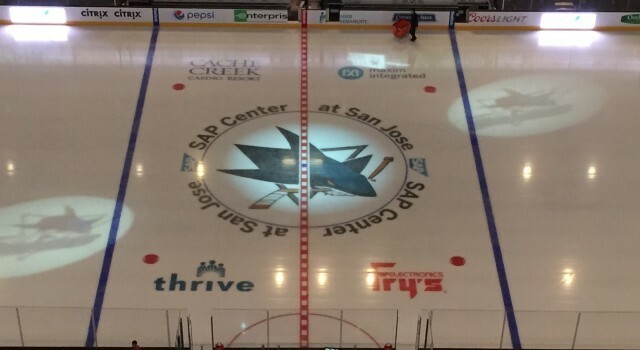 Tonight, the Los Angeles Kings will play their first (preseason) game in San Jose since they completed a historic three-nothing series turnaround and defeated the Sharks 5-1 on their home ice on April 30 to finish off the clubs’ first round playoff series. Two paths diverged that night, one that saw the Kings successfully navigate two more Game 7s en route to the franchise’s second Stanley Cup, and another that led to a long off-season full of introspect and reflection. Drew Doughty will also make his preseason debut at the SAP Center after having missed the first half of the exhibition schedule with an upper-body injury suffered during on-ice, off-season training. He’ll immediately be thrust into a fierce Pacific Division rivalry between a pair of teams that have played 41 regular season and playoff games against each other over the last four seasons. 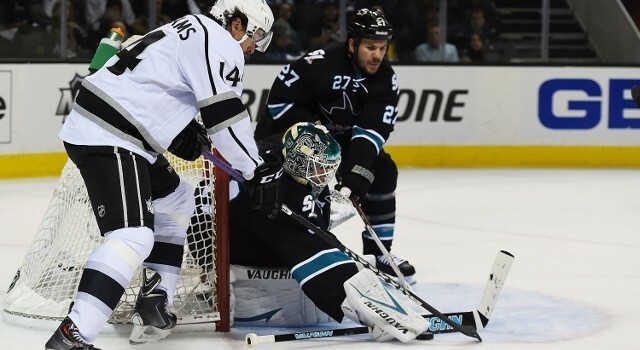 Preseason games are necessary for players to acclimate themselves to the pace, systems play and reads needed to succeed in the regular season, and while both teams are mostly concerned with taking care of what needs to be done to do to best prepare themselves for the regular season, Doughty does expect some emotional carry-over from Los Angeles’ stunning turnaround last spring. Yeah, of course. I’m really the only person who knows exactly how I’m feeling, and I have to be completely honest with the coaching staff, with the trainers, and tell them exactly what I’m feeling. It gets to a point where you start feeling really good, but you have to have a few days of feeling perfect, so by that time it becomes their decision, but I’m definitely trying to push to get out there. Just kind of get back to it. Me and Muzz need to get back on track to kind of take off this year from where we were last year. We were playing very well defensively, we were shutting down the other teams’ best lines, and that’s what we’re going to do here, and tonight just obviously keep it simple. I’m going to try to play as many minutes as possible, but I’m going to try to keep it simple and play a good game. Yeah. I think that Corsi thing is a bunch of crap, personally. That’s not to take away from Muzz being the top guy in the league, because you know Muzz is a really good player. He’s improved so much over the last few years. He’s just going to improve even more and become better. Me and Muzz have it in our minds that we’re going to be one of the best D-pairings in the league one day, so we’re going to work towards that.